Cover 3 on West Anderson Lane is not an ordinary sports bar. Serving upscale, contemporary bar food like the delicious "Brick Chicken" and replacing chips with Parmesan fries, Cover 3 takes game day to an entirely new level. 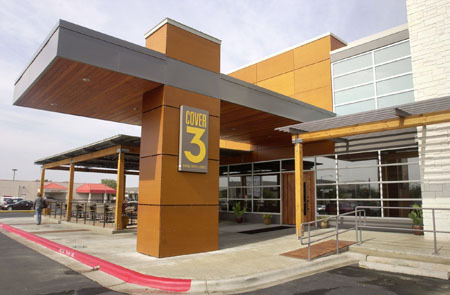 In addition to beer and cocktails, Cover 3 offers a wine list, courtesy of its in-house cellar. Because of the spectacular food, attentive service and game viewing quality, Cover 3 fills up fast, so make sure to reserve a table when a big game is coming up.